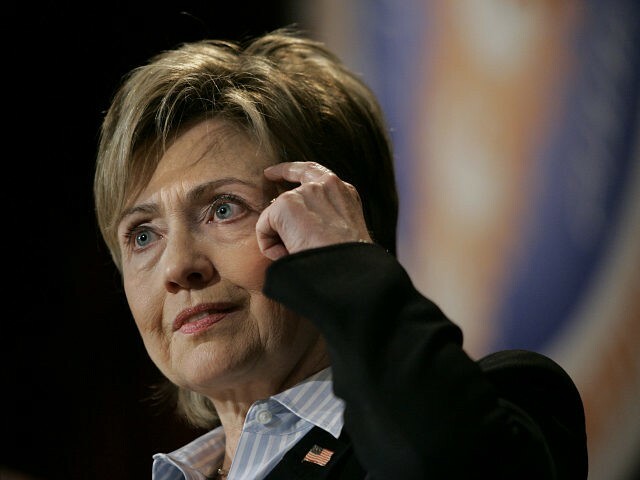 The Observer describes a decade-old audiotape that might come back to haunt Hillary Clinton, in which she seems to suggest rigging the 2006 elections for the Palestinian Legislative Council. Actually, there’s not much ambiguity about what Hillary Clinton proposes in the clip, and she does not seem to have been joking. In the January 2006 election Clinton was referring to, the terrorists of Hamas won far more seats than the more moderate Fatah faction preferred by the U.S. government. And then, when, you know, Hamas, you know, sent the terrorists, you know, through the tunnel into Israel that killed and captured, you know, kidnapped the young Israeli soldier, you know, there’s a sense of like, one-upsmanship, and in these cultures of, you know, well, if they captured a soldier, we’ve got to capture a soldier. More of this moral relativism was on display when Clinton, who was at that point three years away from becoming secretary of state, expressed a willingness to hold talks with the Assad regime in Syria. She compared it to the U.S. talking with the Soviet Union during the Cold War, which Ken Kurson of the Observer opines, “sounds more like Trump 2016 than Clinton 2016,” since Russia has become the locus of planetary evil in the Democrat mind. The Observer can only offer Chomsky’s thoughts on what made his old colleagues reluctant to publicize Clinton’s remarks, but he seems to think her ideas about rigging the Palestinian elections were the most controversial tidbit, particularly in light of complaints about voter fraud and “rigged elections” in the current U.S. election.